As a Taste Cheshire member we’re privy to some special discounts that we love to pass on to our loyal customers when we can. And we’re very pleased to share a fantastic 20% off on Food & Drink Festival tickets. The festival is an excellent weekend packed full of tastings, demos and shopping and it runs over the Easter bank holiday (Saturday 20th – Monday 22nd April.) Full information including ticket prices can be found on their website via the “book now” link. Just copy the code below into the promotional code box on the payment page for your discount. Enjoy! As an independent restaurant, winning a customer voted award means SO much to us! A big part of the Taste Cheshire Food & Drink Festival for us, is the Food & Drink Awards. 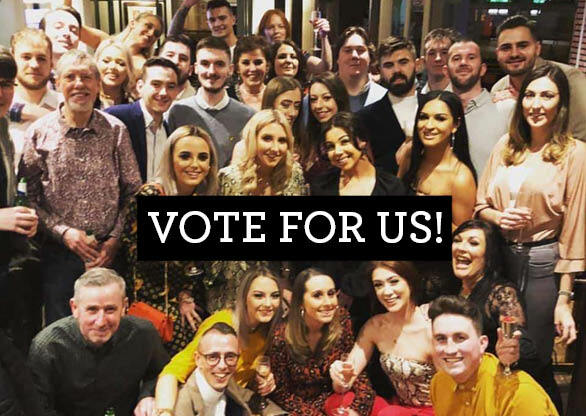 We know we have the most amazing and supportive customers and now that awards are officially open for voting, we’re looking for your support once again.